All about a comic I made. Yeah, Snatter cards! YOU SHOULD CLICK THIS IF YOU WANT TO SEE WHAT DESIGNS THERE ARE, and no that link doesn't just lead to the picture you can see right there. In fact, some of the designs you can see there aren't even on the link you're supposed to click now, but you can still have them. All you need to do to get your hands on these amazing cards (I mean, they're not AMAZING, but they're definitely not bad cards, and that in itself is pretty amazing for cards), is you should EMAIL ME BY CLICKING THIS, tell me what cards you want and how many of them, and I'll tell you how much you should send me, which you'll have to do via Paypal unless you've got any other bright ideas. 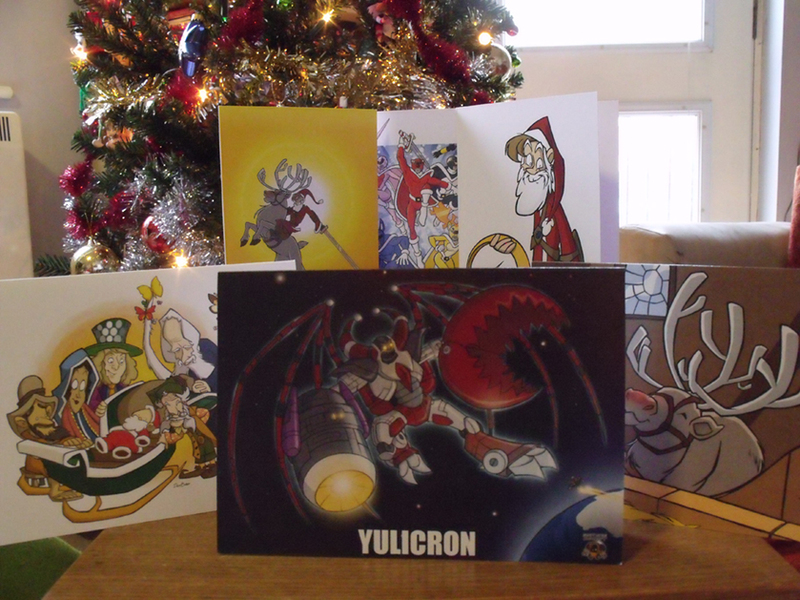 For your reference though, the cards are £1.50 each. They're good though. Nice and smooth, pretty big (A5) and printed at a print shop from high-res originals, not just chucked through my Inkjet from a jpeg or something. Quick though, not long left 'till Christmas now!